In 2014, the Sisters of the Holy Family of Nazareth established a high school on the Emsworth, PA campus that had formerly housed the Holy Family Institute residential program. For the first three years of its existence, the school was known as Holy Family Academy. Starting this spring, it goes by its new name, Nazareth College and Career Prep. The name change clarifies the distinction between Nazareth College and Career Prep and the organization that preceded it at its Emsworth, PA campus, Holy Family Institute; a social-services provider in southwestern Pennsylvania for over 100 years. Nazareth College and Career Prep is a ministry of the Sisters of the Holy Family of Nazareth, who have a long history of providing high-quality educational programming in eastern Pennsylvania. The order's Nazareth Academy Grade School, Nazareth Academy High School and Holy Family University have served the Philadelphia area since, respectively, 1941, 1928 and 1954. The name Nazareth College and Career Prep was chosen to reflect the Sisters’ tradition of excellence in education, as well as the school’s bright, motivated students. Nazareth College and Career Prep serves promising students whose families are interested in a rigorous experiential learning model that includes a four-year integrated internship and project-based learning–and makes a private education affordable for families who otherwise could not afford one. Though its name has changed, Nazareth College and Career Prep’s leadership and mission remain the same. She adds, “With one of the region’s largest internship programs, as well as an advisory program geared towards cultivating the whole child, Nazareth College and Career Prep connects students to jobs they’ll love and equips them to thrive as tomorrow’s innovators and leaders.” The school’s first senior class will graduate June 7, 2018. ?Nazareth College and Career Prep is an independent Catholic high school in the Pittsburgh area that provides an affordable, progressive education that is real-world rigorous, focused on college and career readiness. The school partners with families and uses evidence-based practices to equip each student for success. 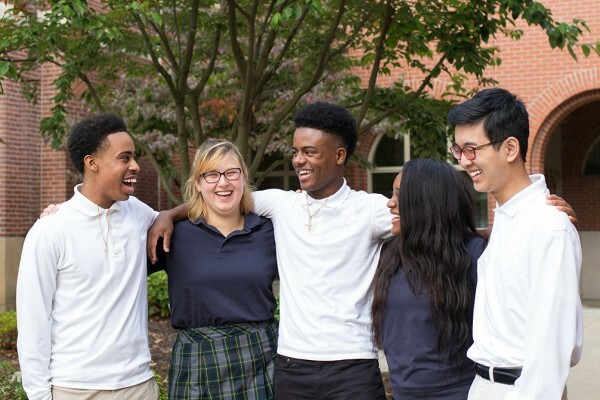 Through a rigorous yet personalized college preparatory program and unique internship program, Nazareth College and Career Prep students build skills that will serve them throughout their lives.